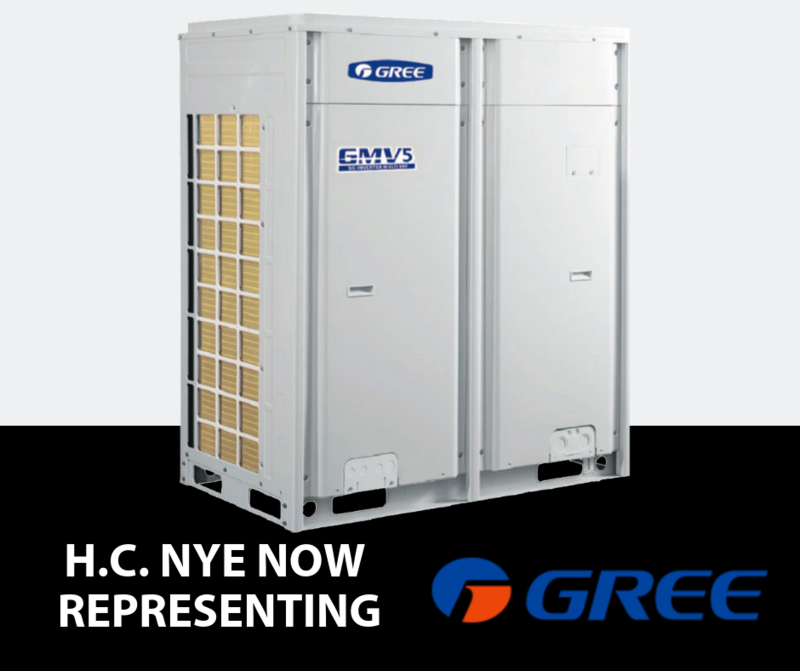 H.C. Nye Company, Inc. is excited to announce the addition of GREE | H.C. Nye Co.
H.C. Nye Company, Inc. is excited to announce the addition of GREE with the GMV5, the fifth generation VRF (Variable Refrigerant Flow) systems. GMV5 DC Inverter Multi VRF System with its high-efficiency inverter compressors have four exciting features which are different from those found on traditional inverter air conditioners: more energy-saving, more comfortable, more reliable and more precise operation, providing users with the best air conditioning experience. GMV5 Heat Recovery System embodies the excellent features of GMV5 Heat Pump (Modular) (DC inverter technology, DC fan linkage control, precise control of capacity output, balancing control of refrigerant, original oil balancing technology with high pressure chamber, high-efficiency output control, low-temperature operation control technology, super heating technology, high adaptability for project, environmental refrigerant). 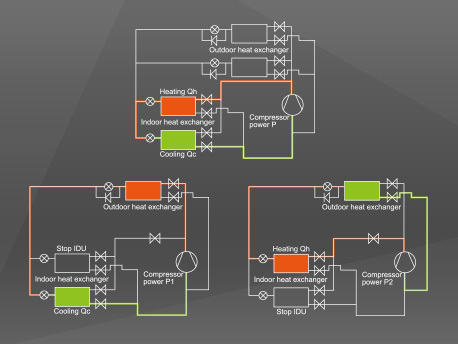 Its energy efficiency is improved by 78% compared with conventional multi VRF.